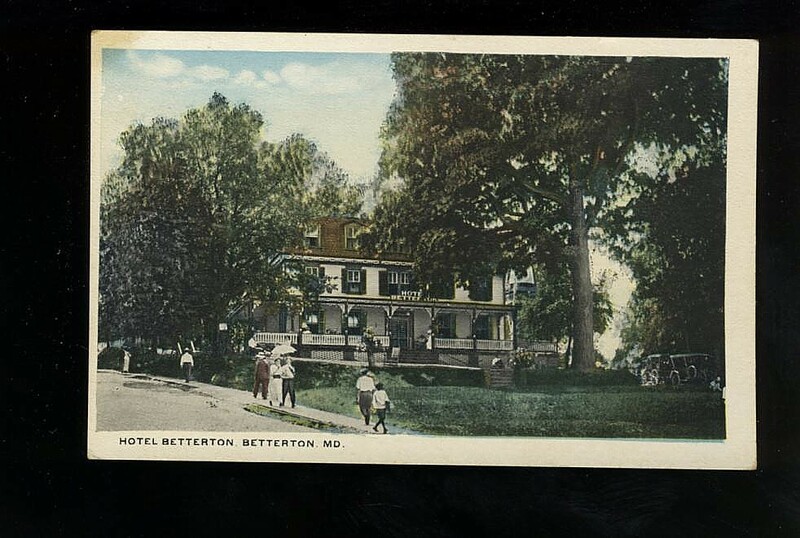 Interesting Historical Betterton Photos and postcards! 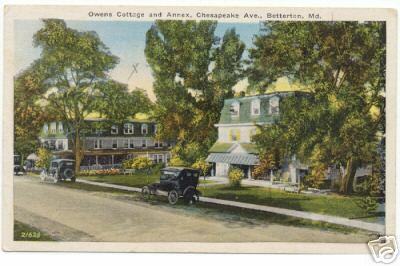 today known as the Maplewood Manor (far left) and Maplewood Annex (right and below). 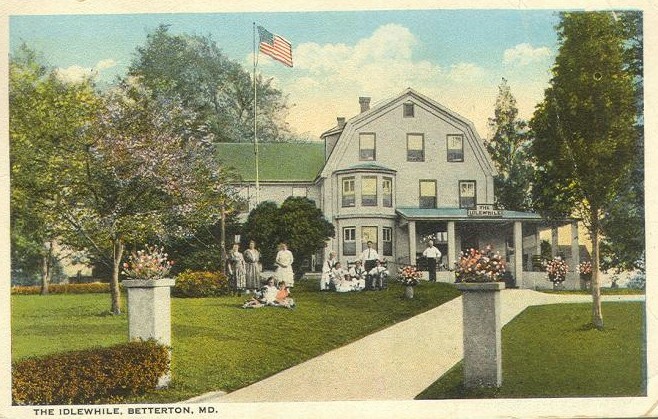 Circa 1931. 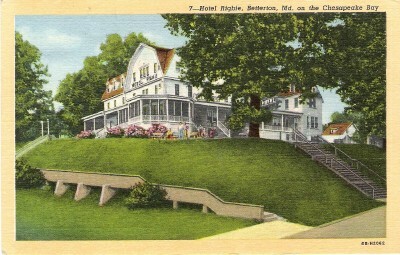 Once the grandest hotel in Betterton, the Hotel Rigbie fell into disrepair and was later demolished to make way for the Rigbie Bluff Condominiums that stand on the site today. 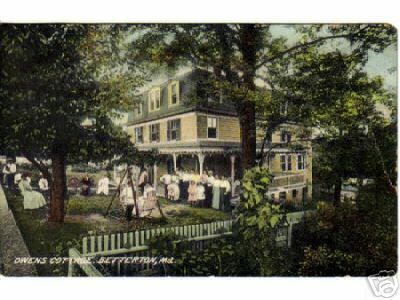 Gone is the grand lady, the only hint of her existence still remaining is the stone staircase along the front of the bluff. 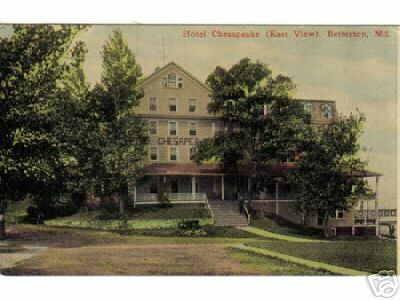 Chesapeake Hotel (below) Circa 1914. 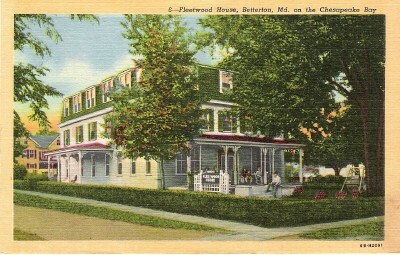 Fleetwood House once stood at the corner of Ericsson Avenue and Belmont Place. 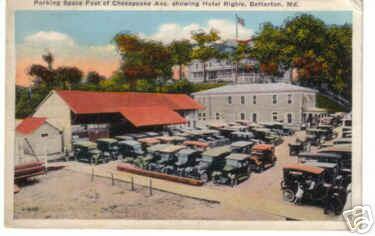 It was burned down in the late 60's. 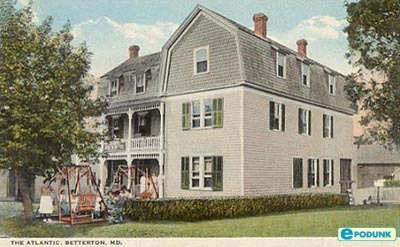 The Idlewhile (above) Circa 1926. 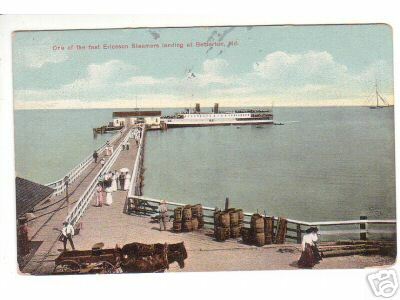 Steamers once arrived regularly bringing passengers and cargo to Betterton. 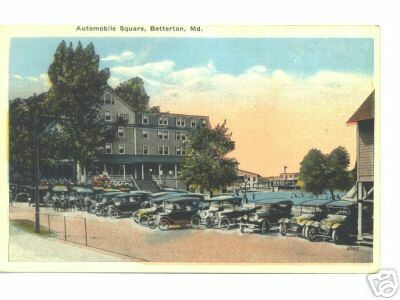 Notice the horse and buggy mode of land transportation as well as the period clothing of the passengers departing the ship. 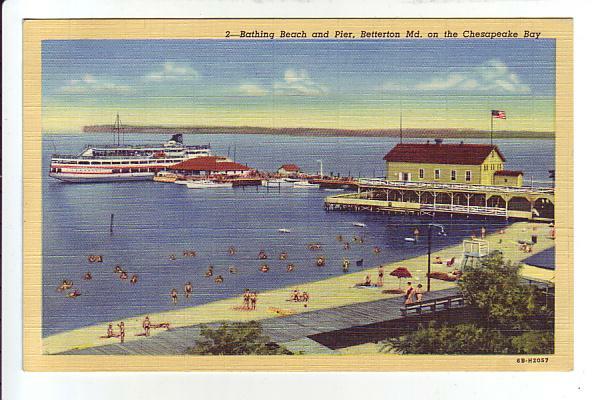 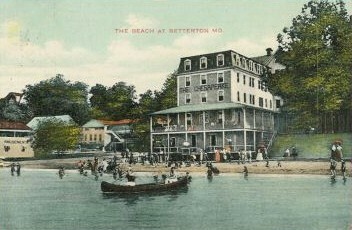 Betterton was once a popular destination for vacationers from Baltimore, many of which stayed here, in the famous Chesapeake Hotel (left) or the Hotel Betterton (below). 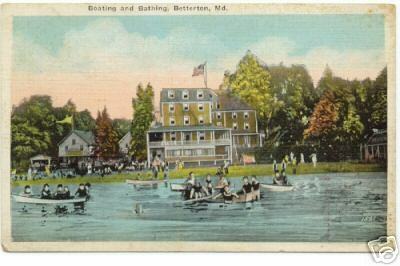 Click picture to send an e-card of image above.